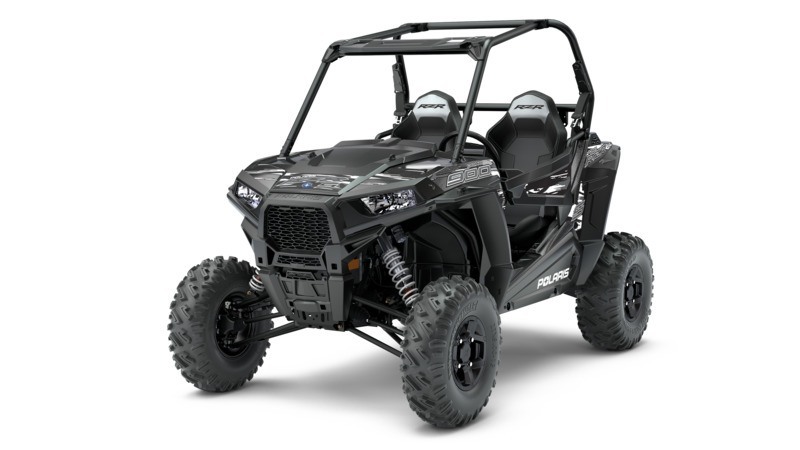 The RZR S 900 features proven power and legendary 60 in. RZR S ride and handling on the trail. BEST AWD IN THE INDUSTRY: JUST POINT, SHOOT AND GO. 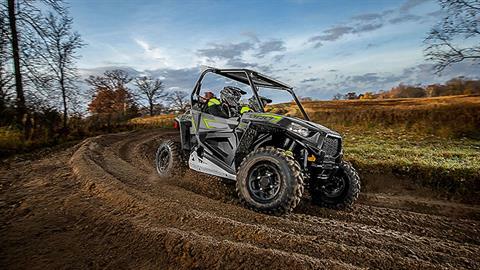 Agile handling is key to trail performance, and that starts with all-wheel drive (AWD). Our competition-beating True On-Demand AWD System maximizes power to all 4 wheels. 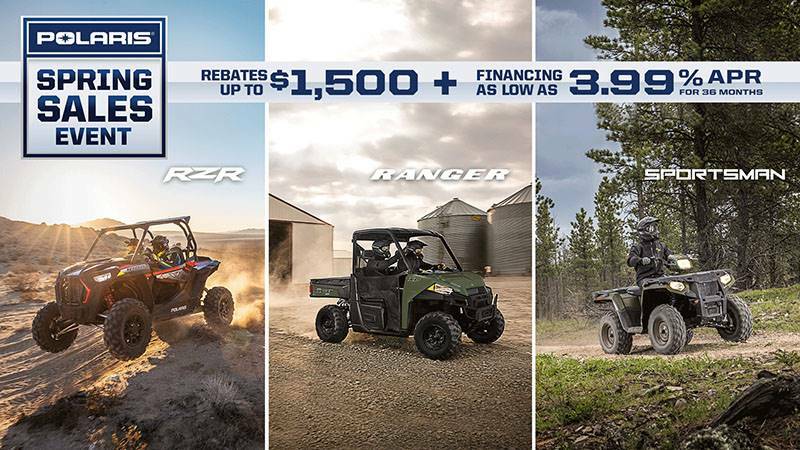 EPS models deliver unmatched point-and-shoot handling and High Performance AWD for even quicker power transfer. 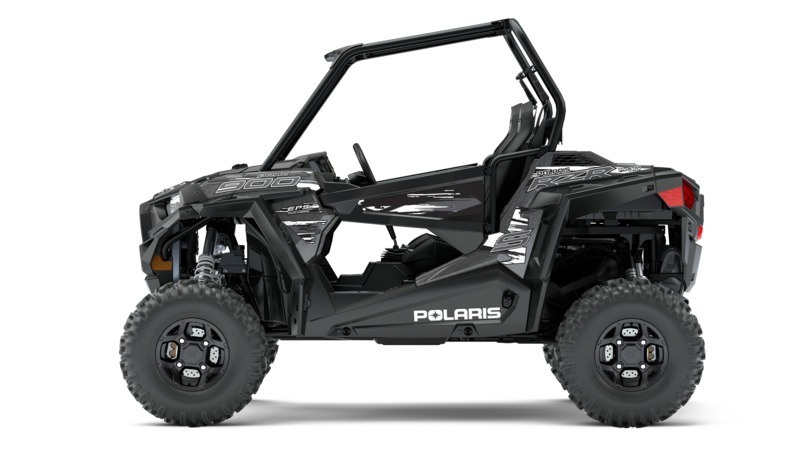 These models also feature a new front stabilizer bar to decrease body roll and dipping around tight turns. 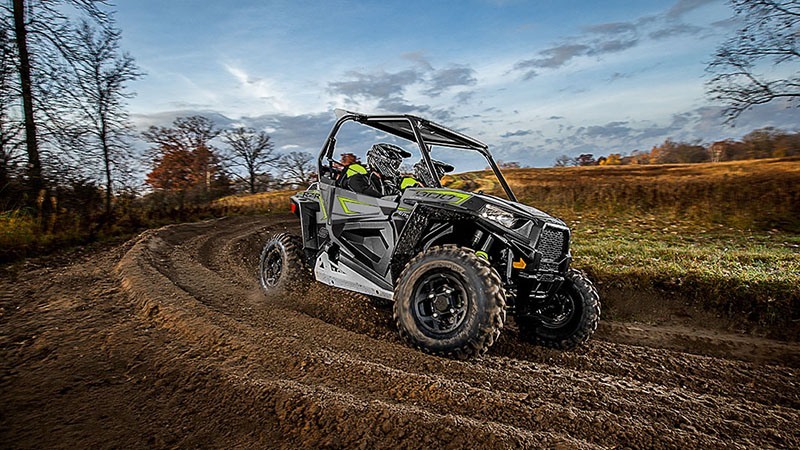 EXPERIENCE THE OFF-ROAD IN COMFORT: The RZR S 900 doesn’t stop with power, suspension and agility. 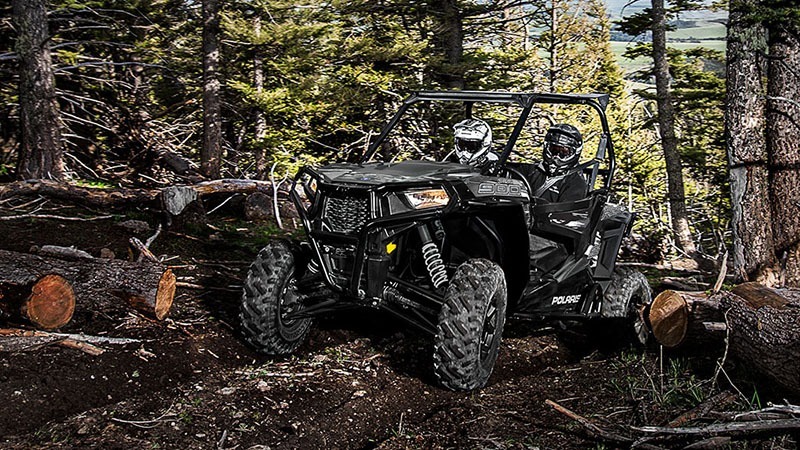 It's also engineered for all day comfort on the trail. The cab features bolstered seats with thin-film material to keep occupants drier, adjustable tilt steering, space-optimized foot rests and factory-installed quarter doors that keep the occupants planted and secure. And when the ride is finally over, there are convenient removable floor drains that allow you to wash out debris and mud quickly and easily. 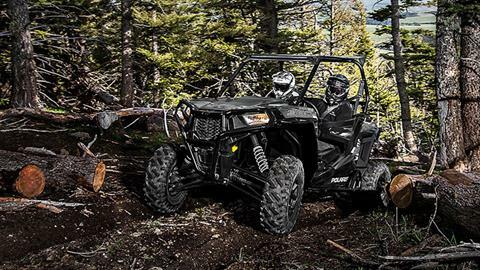 PROVEN POWER FOR THE TRAIL: The 75 HP Prostar ® 900 engine delivers proven power to the trail. And the trail-friendly Low gear lets you put it to work with optimal power from 0-40+ mph without needing to shift into High gear. 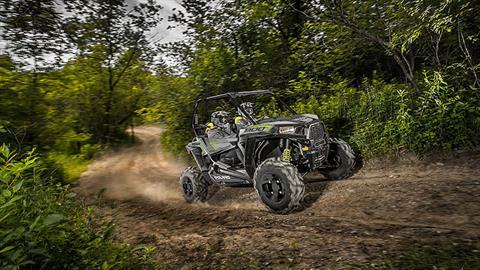 And to stay quick, the RZR S 900 delivers a big power to weight ratio of 6.2 HP to every 100 lb. of dry weight, powering you from corner to corner on the trail with excitement. 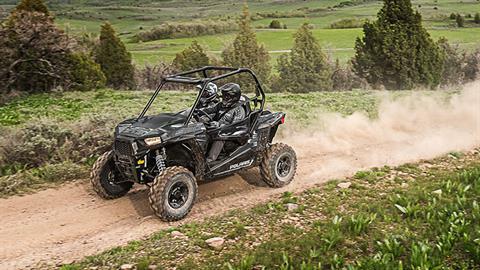 SMOOTH SUSPENSION IN A NIMBLE RZR S: RZR S dual A-arm suspension is legendary in its ability to balance nimble 60 in. 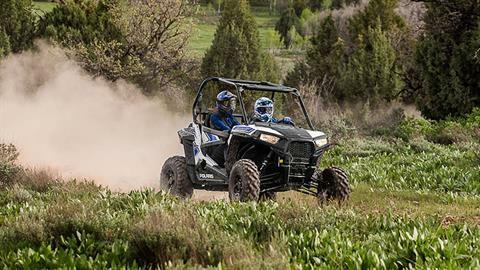 wide sport performance with a smooth ride for the trail. The smooth ride starts with big suspension travel of 12.25 in. in the front and 13.2 in. in the rear for a plush ride. A long 79 in. wheelbase gives you a stable and smooth foundation, while the tall 12.5 in. ground clearance keeps you higher than the rocky trails and other obstacles. 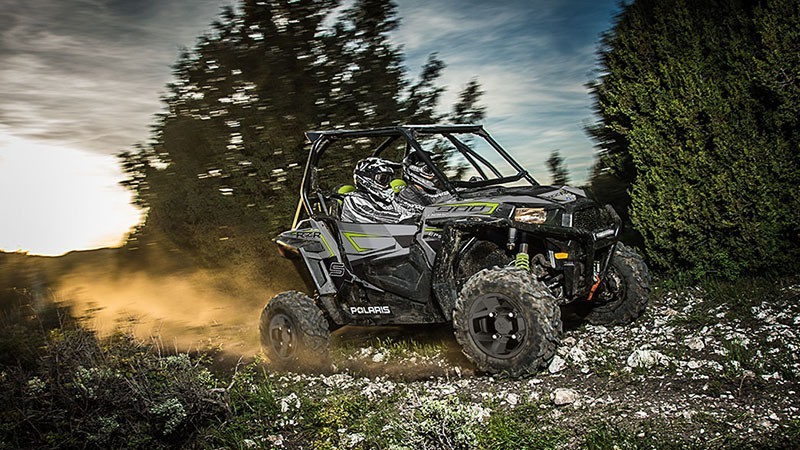 And now featured on our EPS models are the Industry Exclusive Walker Evans Needle Shocks, which deliver an extreme performance ride and tuning capability in a nimble RZR S.